Source: Reuters | Times of Malta. With wine lovers’ pockets hit by the global economic crisis, Argentina’s vineyards are booming as trade becomes more competitive. 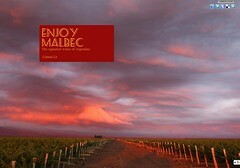 Argentina has joined the ranks of other New World wine-making regions, with a significant increase in exports. It can offer lower prices in a market which has been dented by a lack of consumer confidence.